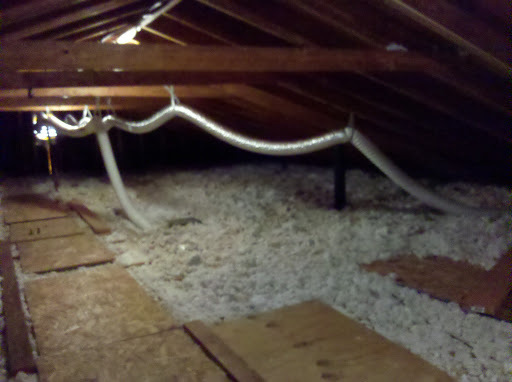 With the holiday season fast approaching, what better way to celebrate than by stringing your attic with flexible duct that’s sort of connected to your bathroom fan and then sort of pointing it to a gable vent! Make this year special! Give the gift of right-sized, properly ducted bathroom ventilation.